Lose yourself in twelve very different stories that will take you on a surprising ride into the anatomy of a siege. These unique depictions are told from a wide variety of points of view and motivations. Survive along with the different warriors as they explore what it means to be under siege. "Why an anthology about sieges? I was asked, 'Why don't you write siege stories from different points of view?' Hmmm, I thought, why not? The seed was sown and plots stirred. It seemed that with each story I completed, a new idea formed until this anthology was complete. Twelve different stories that challenged my creativity and I hope will make you laugh, cringe, cheer and cry (I did writing them). I hope to take you on a surprising ride with these unique depictions of a siege." Fodder - Welcome to the grist of a medieval siege. Saboteur - Anyone could turn out to be the saboteur. Hostage - Bandits of the old West. Healer - A healer's point of view. Assassin's Aim - A feared and key player in every conflict. Besieged - Modern pop television meets real demons. Death's Reaper - The Reaper performs his service. City Reserves - Conflict impacts more than the soldiers. Death Clock - There is never enough time. Scavengers Need to Eat - Even vampyres can fall. Cream - It is all about tatics. Patience - Is it all truly a game of patience? 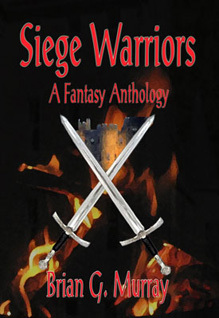 Siege Warriors is an Award-Winning Finalist in the Fiction: Short Story Fiction category of the 2010 International Book Awards, sponsored by USA Book News.